Base Depth: 18.25" - 20." 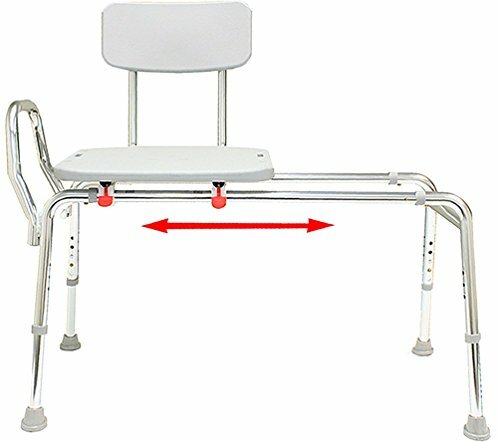 Seat smoothly slides in and out of the bathtub or shower over polished, high-strength, rust-proof, lightweight aluminum tubes. Specially-designed sliding rings help securely lock the seat at each end of the sliding rails. Molded plastic seat and back, textured finish. Easy to assemble; no tools necessary. High weight capacity (400 lbs).